We learned about Gigi's gluten-free cupcakes by pure luck! We were dining at a Mirko Pasta next door, when we realized that we were heading to a baby shower and had forgotten to pack a treat for M! My good friend, Jeannie, ran over to Gigi's to see if they had something we could bring along so M would not feel left out when it came time for cake! Thankfully, Gigi's saved me from having a total "mommy-fail" moment. 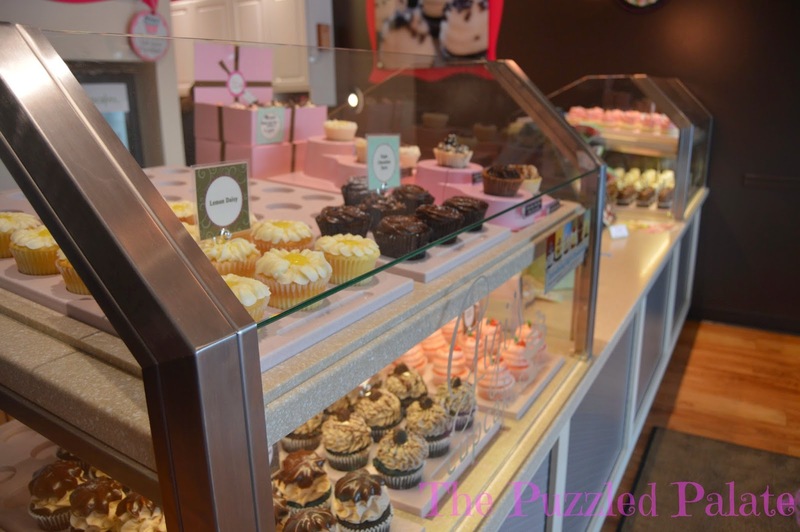 After M devoured the cupcake, I decided that I should do a feature on Gigi's! 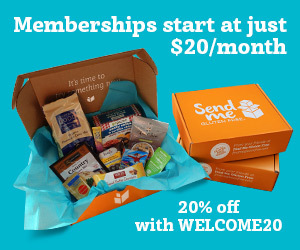 The GF community is always looking for mainstream companies that offer options that work for their diets! I had the pleasure of stopping by the Gigi's Cupcakes in Marietta, GA. I snapped a few shots, bought a few cupcakes and a cute T-shirt. You can't go into Gigi's and leave empty handed! They aren't exclusively gluten-free. If you are not restricted to a GF diet- they have tons of choices. 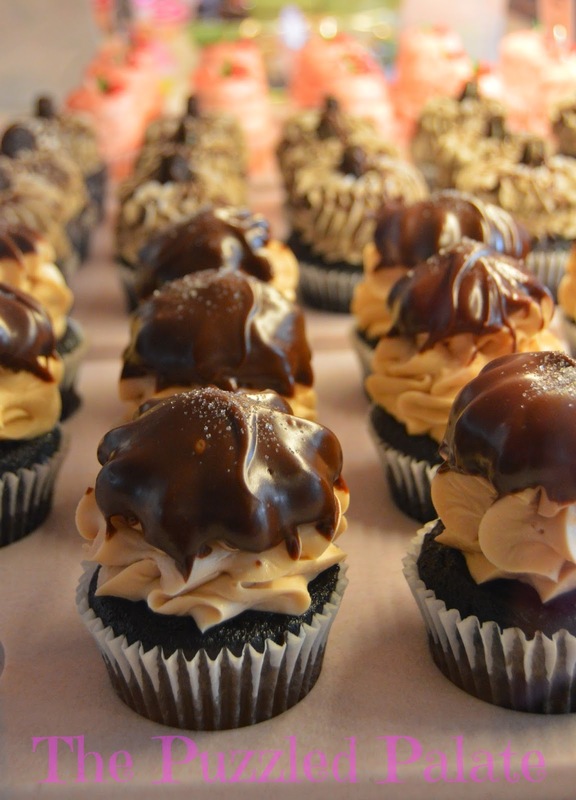 Each cupcake is piled high with finger-licking good icing! 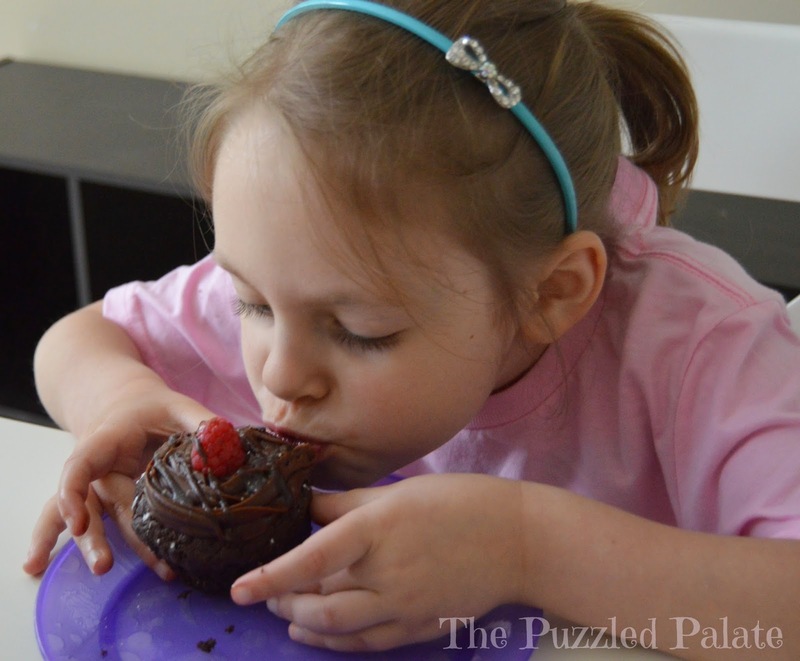 The fabulous Raspberry Chocolate Torte Cupcake- can you believe it is gluten-free? M was at school when I went in to take pictures...so I bought her a cupcake to enjoy after school. She wouldn't give me the "gluten-free thumbs up"- but I think this picture says it all! 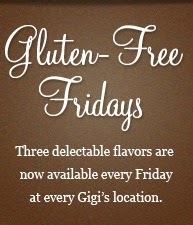 As if you needed another reason to visit your local Gigi's cupcakes, every Friday they have at least three GF offerings! You can contact your local store with special requests for birthdays, weddings or other special event desserts! How could this post get any sweeter? Let's throw in a giveaway! 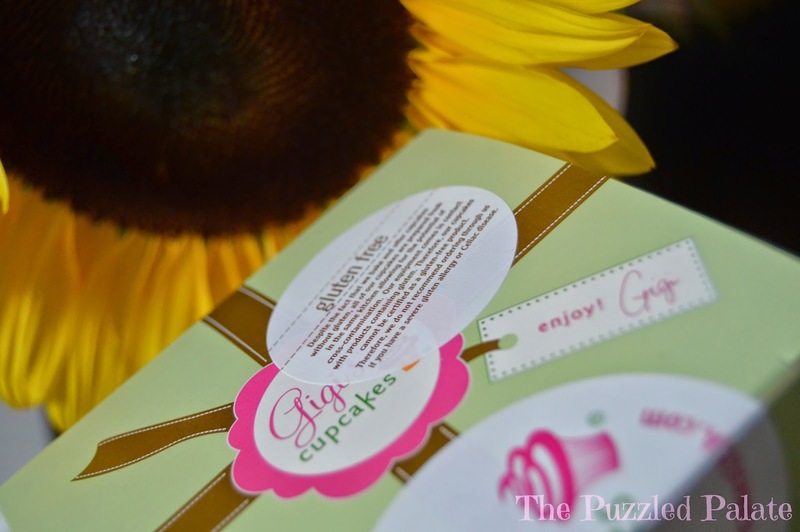 Gigi's Cupcakes at Merchants Walk has partnered with The Puzzled Palate to offer you a box of cupcakes! I was not compensated in anyway to write this review. Our family loves sharing our gluten-free finds! M's gluten-intolerance is not the equivalent to someone with Celiac disease. Always do your own research when it comes to your health. Was that double icing I saw? Wow. That is like my dream! Yes it was! Most cupcakes there have a triple stack! Rasberry Chocolate Torte!!!! Divine! 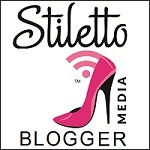 And, have we established that we're both metro-Atl bloggers? I love running into fellow Atlantans! Cheers! Yep! We are up in Kennesaw! My favorite? Anything with cream cheese icing. So, yeah, can't have that now because of the whole no dairy thing. I'm having a hard time finding a gluten free + dairy free option for my daughter's baptism. I'll have to call to see if they have anything! Now I am bummed because we don't have a Gigi's around here. I am the biggest cupcake fan out there and I was sitting here drooling as I looked at your pictures. Go GiGi's! That is so awesome. I will let my gluten-free eating friends know as well. Please do! And if they live in the Atlanta area- send them my way for a chance to win some free cupcakes! I love white chocolate and peanut butter buttercreme. It's so light and delish! I wish I had this close by. Those cupcakes look delicious! 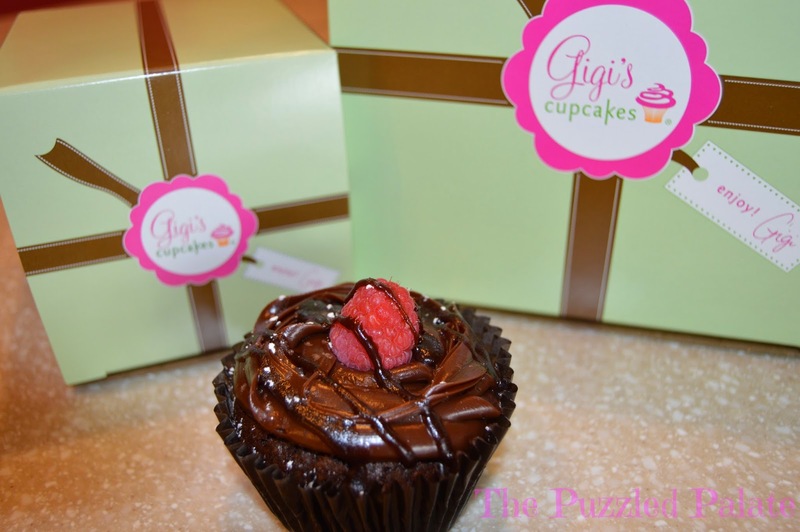 Did you check the Gigi's locator? It is hyperlinked in the post! I love that they have a gluten free day! Those cupcakes look yummolicious. Now I want cupcakes for breakfast. That's totally normal, right? that's awesome. and superb for our gluten free friends. plus, cupcakes. who doesn't like cupcakes? I have met one person- I am not sure what is wrong with him! I love almond flavored icing on a any kind of cupcake! From Jeannie! I love Gigi's cupcakes. My favorite is their Wedding Cake cupcakes. I wonder if they have carrot cake cupcakes? Gluten free would be a bonus! You can request anything to be made as gluten-free if you give them a heads up for a order of a dozen. Two thumbs up for a shop that makes gluten free cupcakes - especially if they can add double frosting! What a great find! Double and triple frosting comes standard! Posts like these make me realize why I love cupcakes so very much. Why can't this be near my hometown?! All of those cupcakes look delicious.. almost too pretty to eat! Double icing? Count me in! That Raspberry Chocolate Torte looks so good! I love how much frosting they put on the cupcakes. Pile it high for me please! We used to have a gluten-free bakery in our area. Unfortunately they recently closed. Yum, they look very tasty indeed! I love cupcakes! Oh my gosh the East Cobb location is only a few miles from me! GF cupcakes???? Yes, please!! Red Velvet with Cream Cheese Icing is my fave! I've never had a gluten-free cupcake, but it looks fabulous! I love Gigi's wedding cupcakes! I love that they have at least 3 GF options every day! And they all look delicious! Hi Christina- Just to clarify:) They always have at least one GF option. Fridays are the days with the extra GF options! That is awesome that they are gluten free so your little one could enjoy them! I hate to see little ones left out! Those look SO good! So cool they have a gluten-free day! I love cupcakes! These look delicious! Gluten-free options are getting better and better and better. That was sweet that you brought her one! I think I have a GiGi's cupcakes by me too.I wonder if it's the same company? If so, their cupcakes are delish! These cupcakes look SO GOOD! It's so wonderful that Gigi's Cupcakes offers three GF options each Friday. My favorite cupcakes are red velvet with cream cheese frosting... or chocolate with chocolate icing... or anything with sprinkles! (Can you tell I LOVE cupcakes?!) 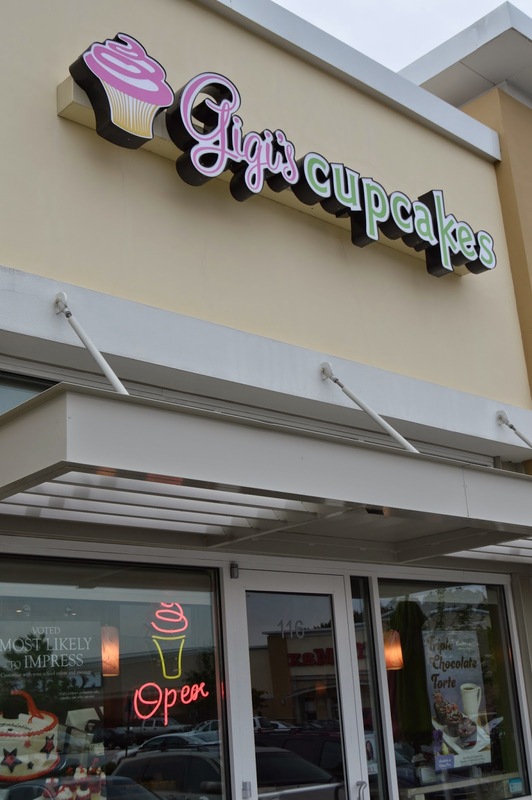 I can't wait to visit Gigi's! I love seeing more gluten free options, although I would worry about cross contamination at a bakery like this, did you have any issues? 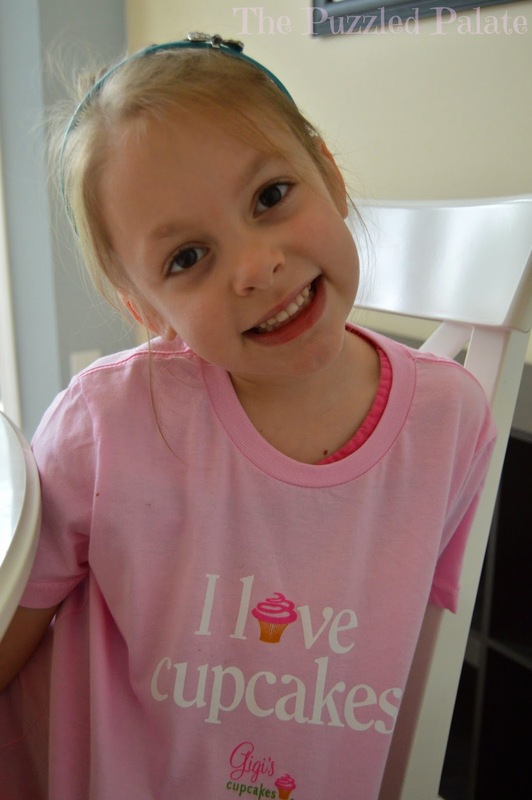 My daughter is gluten-intolerant which is totally different that having having celiac disease. The owners are very upfront about cross contamination before you make a selection. 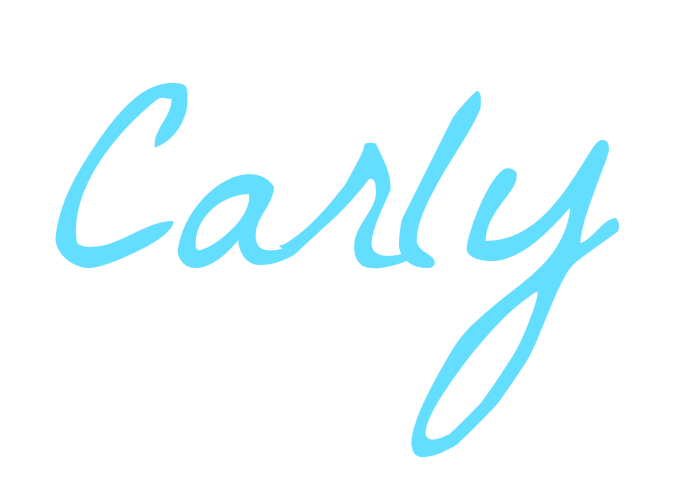 Thank you for mentioning that- I need to add a disclaimer in the posting! These all look delicious. I love how many places are making the adjustment to include more gluten free options. red velvet cupcake with any frosting!!! I love chocolate with cream cheese frosting.